Omaha's original 16 passenger Pedal Pub! 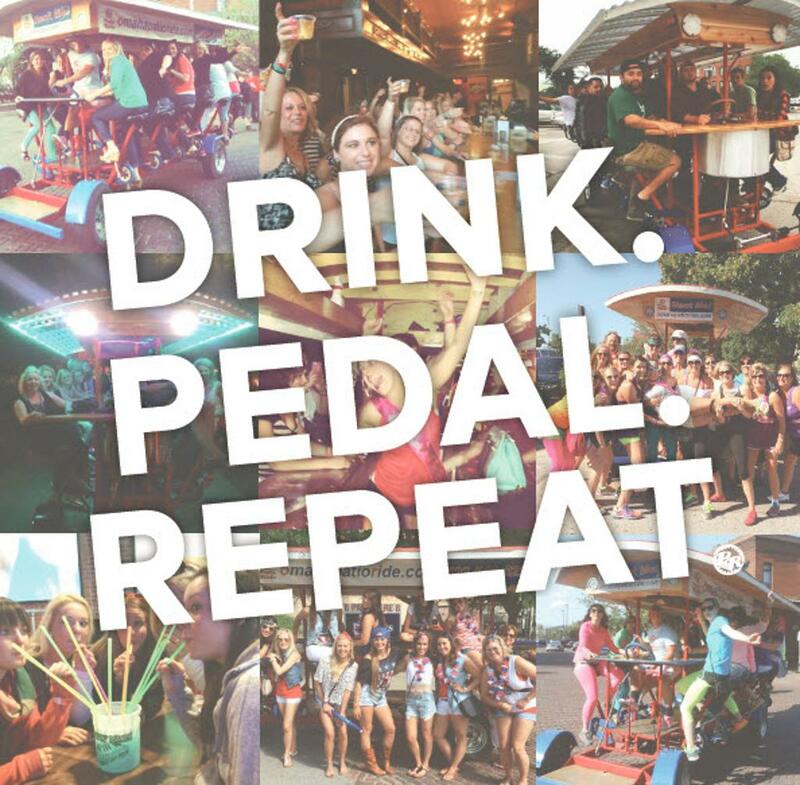 Omaha Patio Ride is a giant, pub-crawl party bike for friends, family or coworkers in the Old Market! Click Book Now to check availability, pricing and book your ride! Our most popular option! The price is the same whether you have 8-16 riders. Minimum of 8 riders for private group rides. Smaller group? No problem! Each seat is $30. Join up with other fun riders on our weekly Public rides! YOU CAN DRINK BEER WHILE RIDING! The drinking law passed! 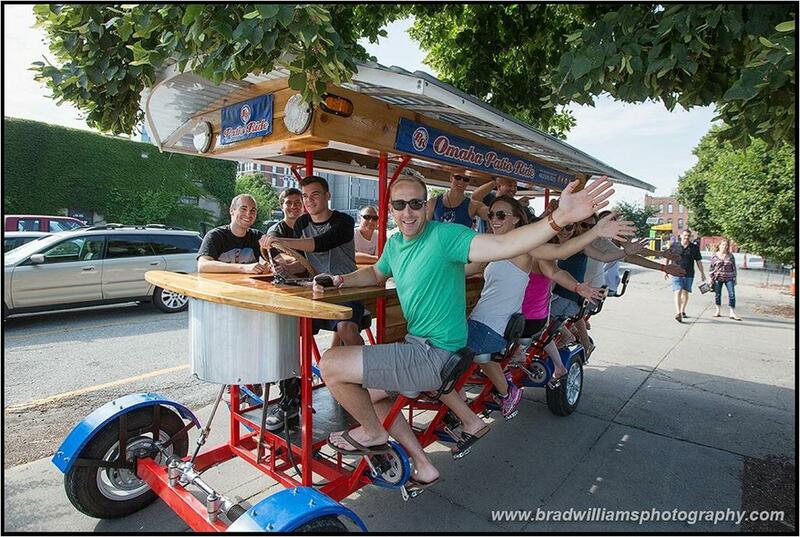 Your crew can bring aboard your own beer and malt beverages on the Patio Ride. Book Now and BYOB! TOP RATED ACTIVITY IN OMAHA BY TRIPADVISOR! The giant party bike for up to 16 of your friends! 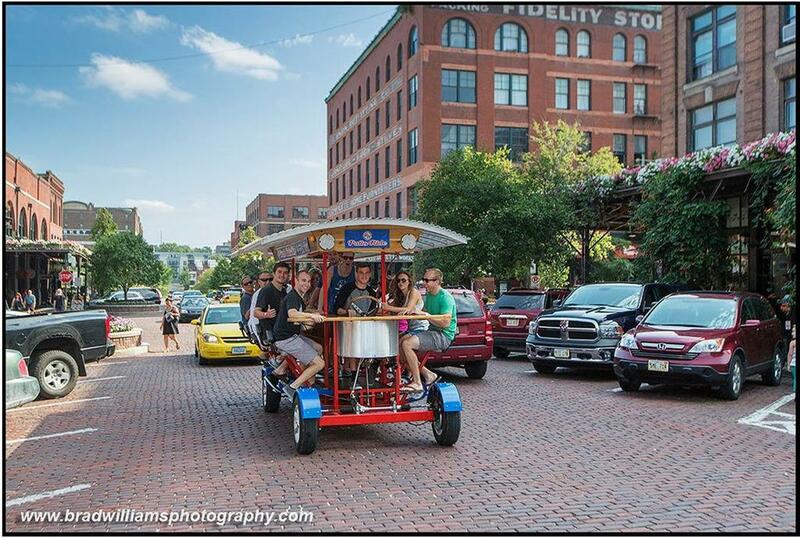 Take advantage of drink specials while you have a 2-hour pedal pub tour of Old Market downtown Omaha! 15,000+ HAPPY RIDERS AND COUNTING! Every rider must sign the online waiver form before riding. ©2019 Omaha Patio Ride / SportsEngine. All Rights Reserved.